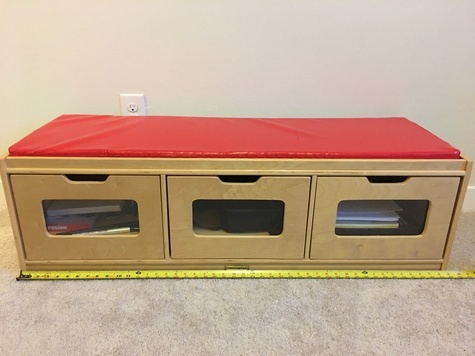 Wooden bench with three storage cubes available. Perfect for a children’s room. Upholstery material is pleather ( easy to wipe clean) and bench is solid birch wood. Beautiful and in excellent condition .